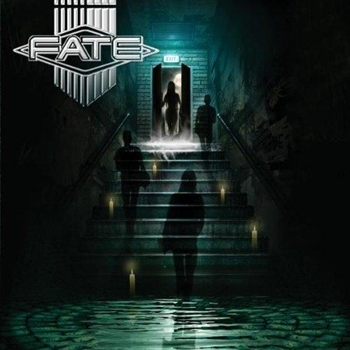 With origins dating back to 1984, Fate are arguably one of Denmark’s longest running outfits who split in 1993, only to resurface in 2006 and are now back after another 3 year hiatus with new guitarist Torben Enevoldsen (Section A / Acacia Avenue) replacing Søren Hoff and a new album in “Ghosts From The Past” and quite a corker it is too. Melodic Metal would be the best tag for the bands sound, big guitar riffs (with a definite 80’s vibe to them) and big vocal hooks that you can easily hang your winter coat on. Opener “Children Of The Night” is a corker from start to finish and whilst the overall quality elsewhere never quite lives up to this opener there is luckily little disappointment to be found. 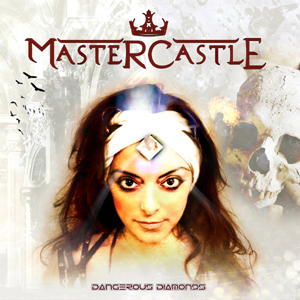 “Seeds Of Terror”, “Fear Of The Stranger”, “Murder” all rock hard whilst more melodic avenues are explored on “At The End Of The Day”, “All That I Want” and power ballad “Follow Your Heart”. Worst of the bunch? Easily the cheese-fest that is “I Believe In Rock N Roll”. Do we really need tracks like this in 2011? Musically Fate represent solid musicianship with Enevoldsen being a good fit with his fluid style and blends well with the classy vocals of Dagfinn Joensen. The air of Scandi-rock cool throughout the majority of the album is hard to ignore. In summary; Fate are back with a strong effort that is a pleasing effort for the most part. “Ghosts From The Past” along with the latest effort from Grand Illusion mark the best releases of 2011 from AOR Heaven and comes recommended. This entry was posted in Reviews and tagged Album-oriented rock, aor heaven, Denmark, Fate, Ghosts From The Past, review, torben enevoldsen. Bookmark the permalink. 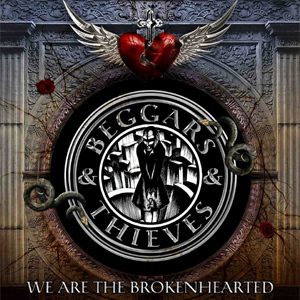 I had never given Beggars & Thieves much time before being handed this album to review.May have been a mistake, because I like what I’m hearing. In order to keep things short and sweet : if you like latter day Journey, you’ll enjoy this. The melodies, riffs, arrangements… It all owes a debt of gratitude to the godfathers of AOR. But, and this is a but the size of J-Lo’s, B&T aren’t simply copycats. They do manage to inject a healthy dose of identity into the music. Check out “Innocence” or “Beautiful Losers” as an example of what I’m talking about. I was getting burned out on AOR albums, with too much subpar crap and “all star” projects (where the biggest star was probably the kid who empties the dustbin) clamoring for my attention. A well produced, well crafted CD like this restores my faith! 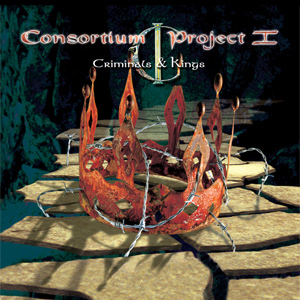 This entry was posted in Reviews and tagged Album-oriented rock, AOR, Beggars & Thieves, Frontiers Records, journey, we are the broken hearted review. Bookmark the permalink. Two of the most familiar voices in AOR merge for another Frontiers arranged product. Yes the voices from Toto and Survivor are here in their pompous commercial glory. Whilst Jamison was arguably not the best vocalist Survivor had – Dave Bickler was that guy IMO – the guy can still sing. Kimball has on the other hand has always been a mixed bag, check out some rather dubious live Toto videos to hear the guy ain’t always on the mark. That said as mentioned earlier this is another “arranged” product from Frontiers i.e. name vocalists picked to sing a selection of material that has been hand picked for the pair to do duets on. So you can guarantee this sounds authentically 80’s in the hook and melody department with the production sass of the 21st century. Songs come such songwriters as Richard Page (Mr Mister), Jim Peterik (Survivor), Randy Goodrum (Steve Perry, Toto), John Waite, Erik Martensson (W.E.T.) and Robert Sall (Work of Art), among others so its hard to fault their pedigre, and directed by the expert hands of German producer Mat Sinner it’s a good production. But there is still something that doesn’t feel right about the music on offer. Vocally it’s hard to fault the actual performances from a technical perspective but then there is a sense of going through the motions for the most part. It’s all a little too clinical, too derivative and lacking in any real spark. Frontiers are marketing this as more than a one-off project, time will tell especially now that Jamison is back in Survivor. Far from essential its an ok spin for AOR fans but there has been much better product this year in the genre. 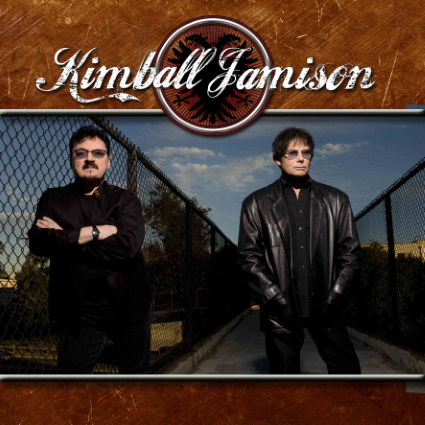 This entry was posted in Reviews and tagged AOR, Bobby Kimball, frontiers, Jimi Jamison, review, survivor, toto. Bookmark the permalink.